There's only one topic of conversation in the office this morning, how many times have you seen it? If you have no idea what I'm on about, you need to stop what you are doing for 2 minutes and watch this. Back now? How many people just clicked on it to watch it again? Thought so! Anyway, as a massive Star Wars fan (geek), I've been far too giddy about this for too long as anyone who follows me on Twitter will realise. So last night I was ready to publish a blog about the cool new features in AutoCAD using Navisworks and BIM 360 technology, but immediately realised that will have to wait till next week… Priorities! Thanks to everyone who helped me pull together datasets, from Dace Campbell and his USB charing GNK to David Light and his amazing Revit RFA of the Falcon and many more! Last November we released the long awaited daily updates feature within the BIM 360 Field web environment. The feature allows licensed users of BIM 360 Field to create, manage, and share their jobsite performance reporting to project stakeholders within the same interface they use for punch lists, equipment tracking, and general field data management needs. We are now happy to report that the daily update functionality is now available on the BIM 360 Field iOS app for iPad! With this update, all of your jobsite performance detail can be synced between the BIM 360 Field web environment in the trailer and the BIM 360 Field iPad app on the jobsite—and vice-versa. A key factor for schedule delays on any project are the weather conditions. Daily updates on the iPad provide automated population of weather and forecast information. Additionally, the weather fields can be manually edited to accommodate specific local conditions. As in the daily updates web version, you can now track and enter labor and manpower details for each day. For example, you can document which companies were onsite and what work each of the companies performed. When drafting your daily update, you can easily provide a summary of the progress made on the project in the General Notes area. This can also include images, issues, work completed, project delays, visitors, etc. The addition of daily updates to the BIM 360 iPad app ushers in a new Auto Sync feature. As long as you are connected to the internet, any data entered will upload to the cloud automatically upon saving the daily update. The new feature is currently available for download within the BIM 360 Field app on the Apple App Store. Click here to download today. If you have 20 minutes to spare and want to take-in all of the recent feature updates for BIM 360 Field, BIM 360 Glue, and BIM 360 Layout—we have your “easy button”. That’s right, we’ve taken the last 5 months of feature releases and compressed them into an on-demand screencast that you can watch at your leisure. 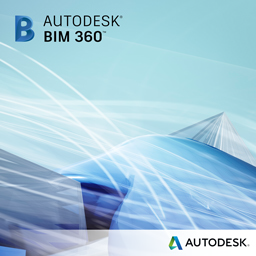 The screencast will feature Autodesk product managers within the BIM 360 platform who will walk you through the specific features for each BIM 360 product and the workflow connections that span pre-construction through commissioning and handover activities. Over the past few months, I have seen and heard a lot of talk about "Level 2" and meeting the government mandate for BIM in the UK. Across Twitter, in bars over #bimbeers, and with many of my colleagues too, it has been a hard subject to avoid. So it was with some interest that I recently saw the release of the "Digital Built Britain" paper. In the context of the present discussion, it brought up an opportunity to spend time future gazing, and for a short while at least, drifting away from the discussion of today and allowing myself to consider what "Level 3" might look like and involve. It's very easy to see the UK BIM mandate as an isolated local policy, that doesn't apply to a global construction industry. PAS1192, COBie, IFC and Common Data Environment discussions dominate many platforms, and more than once I have heard debates about the relevance beyond these shores. However, I think this merely highlights a wider shift in focus that is happening on a global stage. The concept of BIM, and its application to construction projects, is no longer in its infancy. Those who have not yet begun their journey largely accept that it is the future, and recognize the benefits (UK Government report £1.4Bn in 3yrs, with £840m attributed to construction in 2013). Focus, and therefore conversation, is now moving onto the next level. Focus is moving away from model and geometry and zeroing in on data and information - the "I" in BIM. And in construction, this is particularly true, as general contractors find themselves contracted to digital data deliverables such as COBie and IFC. With these deliverables in contract, attention is swiftly moving from the means to the process, and underpinning that is QA/QC and fidelity, change management and construction intelligence. At a high level, it is evident that construction firms are increasingly finding themselves fulfilling the role of 'information manager', responsible for curating the data as it transitions through a construction project. Typically this will involve the inheritance of an information model from a design team, to delivery of that asset, to an owner/operator who has ambitions to leverage this for the lifecycle management phase of the asset. But that curation phase presents all sorts of challenges to today's contractor. Where did the information come from? Who touched it through the construction process? How did we control the evolution of that information, and what have we delivered? All massive questions. As I start my role as product manager for BIM 360, I enter at an extremely exciting time. In this "Level 2" context, and at the dawn of a vision for "Level 3", there are many questions to be answered. As we look forward as a team, we set a roadmap that looks to balance this context and those answers within the familiar landscape of today's tools. I'm excited that with BIM 360, we are starting that journey with a toolset that lives in the cloud, connects to the design phase, and curates that information through the construction lifecycle, and beyond. As we move into a world where that toolset begins to consider the conditioning of that data, where do you think all of this is heading? BIM 360 Field: Versions for your documents! Krystian Macek is a BIM 360 Field Product Manager at Autodesk. Krystian leads the efforts in helping companies in the construction industry improve safety, quality and commissioning processes through the lens of technology. Having access to the latest version of your construction drawings in the field is key in reducing rework and cost. Think about how many times you've had a subcontractor ask you a specific question while on the job site. You need to make sure you have the most current set of drawings, which sometimes means even walking back to the trailer to get the latest update. Now, BIM 360 Field has made it easier to confirm you're working with the most recent update of construction drawings by giving you the ability to manage different versions of the documents in your Library. With the newly released capability called automatic versioning, your team will always have access to the latest version of construction documents, with the ability to view the history of any document through older versions in the Library. Anytime you upload a document, a new version is automatically created and that new document is "slid" under any pins or markup that you created. Click on the triangle on the bottom right of the document to open the document history where you can see all past versions and any tags or locations associated with it. How are my versions sequenced? Versions are ordered according to upload date. Document managers have the option to revert to an older version by simply uploading the specific version again or by clicking delete next to the current version from the top. Where are the latest versions shown? You can find the most recent document in the Library thumbnails (in Pushpins view), and on attachments from the Library in issues, tasks, checklists, and equipment. The latest document version "slides” under everything completed with the prior version and is always available on the web and on the BIM 360 Field iPad app. What happens to my markup and tags? All markup and tags are automatically transferred to your latest drawing version. New versions of documents are automatically “slid” under wherever the document is referenced from an issue, location, attachment. Thank you to everyone in our BIM 360 Field community who suggested document versioning enhancements. We appreciate your input. Please keep the ideas coming! If you would like to learn more about BIM 360 Field, please feel free take our virtual tour here. It is one of the easiest ways to understand the product functionality based on your role in construction. Quantification in Navisworks has now been available for around 18 months and during that time I've shown it to many customers, whilst there are obvious benefits for the estimators and quantity surveyors, the people who seem most excited about the possibilities are not in those teams, why? A typical Bill of Quantities can take weeks to build, verify and validate, this can be dead time for planners, site managers and buyers who need to make rough estimates in the meantime of quantities needed for purchases, transportation needed for planning and many more tasks on any construction project. Whilst not dismissing the BoQ, as it's an essential document for contractual reasons and verified accurate quantities, Quantification from models can free up essential resources at a key period and empowers many more in the supply chain to make better informed decisions when it is relevant to them. It allows for the extraction of key information from the model and project, a key principle of BIM, which allows you to utilise the model for many purposes. As with many other parts of the Autodesk portfolio, working with a single tool can solve a business need, working with multiple tools together can solve multiple needs to people who have never seen the need for BIM in their workflows before. These videos demonstrate the first in a series of potential powerful workflows that can help site managers, planners, buyers and more utilising Quantification and various other tools in the Autodesk Construction portfolio. Remember you can quantify from Revit files, DWFx, DWF and IFC out of the box, a PDF reader is available through the App Exchange, and you can easily map more quantities by using Takeoff Mapping on the Item Catalog Toolbar. A video allowing you to check the quantities of undelivered items which may allow you to check for appropriate storage, or just verify what is missing. Let us know what you think, and if there's other workflows you think it could be used for or would like to see. Autodesk University 2014 is upon us! The force is strong with this one! It's not long to go now, 2 weeks and we'll all be at the Mandalay Bay in Las Vegas for Autodesk University 2014! The good news, alot of you have signed up for my class, a follow up to the popular Star Wars themed class in 2012, "CO6968 - The #EmpireBIMcrew Strikes Back", talking about the renovation of the Millennium Falcon using BIM 360, Point Layout and Recap. So many of you have signed up, it's now full, so thank you, can't wait to see you there! For those specialist fabrication contractors there's the MEP & Structural Fabricator Forum on the Monday, this $300 one day event is sold out, but if you are interested in attending let us know and we'll see if we can find paid access. I'll be speaking with Matt Potts from the Fabrication team about how "Utilizing the Cloud" can help your workflows, we'll be showing some of the workflows between our fabrication products and the world of BIM 360! For those on Twitter I'll be tweeting from @leeroyb, and feel free to post your favourite Star Wars links using the #empireBIMcrew Twitter hashtag. I also have a Pinterest board of some of my favourite Star Wars pictures, use the hashtag #empireBIMcrew. Also follow @AutodeskU and #au2014 for the latest on the conference. Most of us from the blog will be there, whether it be at the returning Construction Zone, Answer Bar, Demo Theatre or generally roaming the corridors, feel free to come up and say hi! Win a trip to Autodesk University 2014! We can’t wait to hear your story by Monday, November 3rd at www.destinationBIM.com. You may have noticed in the top right corner of most of your Autodesk applications a little X, ever tried clicking it? It'll take you through to the Autodesk Exchange App Store for your product, this year we launched our Navisworks App Store, where developers from all over the world can upload their apps and make them available to the world. For example currently on the newly released Navisworks 2015 App Exchange there are free apps like Properties+ to summarise which properties you see in your view, a PDF reader for Navisworks, allowing you to add many more drawings to your Quantification project, Prokon Timeliner Wizard to help create Timeliner entries, to a trial of Surveyor which can be used to report on properties in the model and from a database. We know quite a few of you have built little plugins, and used the API to extend the use of Navisworks, Revit and AutoCAD over the years, we're encouraging you to join our online Hackathon on the 20th and 21st September. Allowing you to publish these apps and be in with a chance of receiving up to US$100 per app published and win one of eight iPad minis! The Autodesk Exchange Apps Hackathon will run from 9:00 a.m. Pacific Time (PT) on Saturday, September 20 to 4:00 p.m. September 21. Anyone can participate from anywhere in the world and at any time both before the event and during the Hackathon days. The Hackathon is a free event and offers a cash reward for apps published (up to 5 apps). You can also participate in the "Cloud App" and "Sustainability App" competitions for a chance to win an iPad mini. Autodesk has assembled a great line up of industry and product app development specialists to lead interactive discussions and sessions on architecting apps for the Exchange store as well as how to use a new Autodesk API such as one of our web service APIs. Great for those looking at extending the use of BIM 360 Glue and Field, more info on those API's can be found on the 360 View Blog. For full details and registration and visit the Autodesk Exchange Apps Hackathon event pages. Staying connected to a topic whether it is a sport, hobby, or an industry can be a challenging thing. As we know, today's world is filled with a myriad of distractions both personal and professional that compete with our time---distancing us from the threads that keep us connected and informed. To complicate matters more, solutions like BIM 360 are so progressive in nature---changing and adding features so rapidly that even the well-intended among us struggle to keep-up. And up until now, the methods and mediums for keeping pace with the BIM 360 business have been vast and de-centralized. As a customer or casual observer within the industry, you may have experienced this dynamic---grabbing information in this blog, across our social media channels, or even Autodesk internal websites whenever and wherever you could. The Autodesk BIM 360 team acknowledged this fact after our interactions with customers and construction industry attendees this past Autodesk University. We took your feedback and suggestions and got to work! We knew what we had to do and promptly set a plan in motion to provide a smoother experience for our customers and the broad BIM 360 audience. While many definitions of "community" exist, we felt that most fell a bit short in terms of what we wanted to provide. Some define community as assisting customers with answers to their questions (aka forum). Other definitions only center on the collaborative or social elements. We decided that the best way to truly connect with customers and a broad construction audience was to bring both forum and social aspects to light. A community ecosystem is born! Launched this week, the BIM 360 Portal combines a centralized reference to the following BIM 360 content and social channels: Tweets, Facebook Posts, Beyond-Design Blog Posts, and YouTube playlists. No more searching for the latest post or Tweet, the Autodesk BIM 360 Portal fuses all relevant social channels and content into a singular website—updated automatically as new content is curated. Viewing on a mobile device? No problem. The portal is fully responsive, adapting to any viewport on the go! For current customers of the BIM 360 Solution and individuals looking to find out more about the products, the BIM 360 Community Forum provides the ultimate venue for interacting with thought leaders and Autodesk Support personnel. Also launched this week, the BIM 360 Community Forum allows existing BIM 360 Field or BIM 360 Glue customers to login via their account credentials and ask questions about specific issues or provide new feature enhancement ideas to our product teams. For those looking to browse the questions and answers posted, no Autodesk account is needed. Note: this system will not replace the current BIM 360 Field and BIM 360 Glue Support Centers, but merely enhance the ways you can interact and obtain assistance with your questions. The community portal is your single source of information. Get all your BIM 360 Field and Glue updates from blog posts, YT videos to product information in one centralized place! This is your one-stop shop for product and technical needs. Get access to the experts and ask questions about specific issues or features. Check out the sites and let us know your thoughts. I would love to get your feedback!